Beginning in the third century AD, pious men and women journeyed into the Egyptian desert, where they sought to be "alone with God alone." 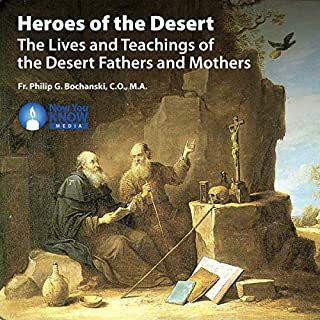 Known as the Desert Fathers and Mothers, they pursued lives of solitude and prayer in order to make offerings of themselves to God. They acquired great insight into the spiritual life, which has been passed down to us in the Sayings of the Desert Fathers. Now, you can discover the fascinating lives and works of such awe-inspiring figures as St. Antony the Great and St. Mary of Egypt. Three men laid the groundwork for Christianity’s philosophy, theology, and learning. 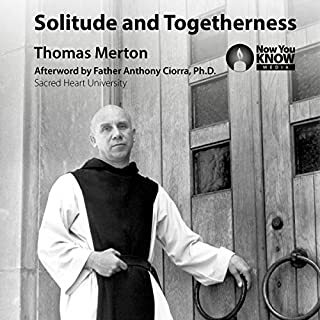 Seventeen centuries later, Thomas Merton, a spiritual visionary, taught gripping classes on these Church Fathers. 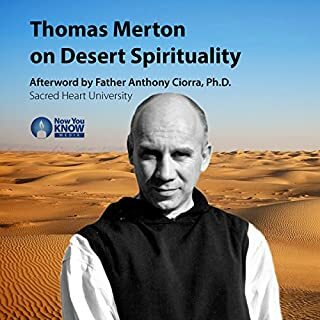 Join Thomas Merton in exploring one of the most influential figures in the history of spirituality. Born in the fourth century, Saint John Cassian (AD 360-435) lived when tensions between the traditional and innovative peaked. A monk and theologian, Cassian made the Christian tradition relevant for the needs of his day in his spiritual works. Indeed, his spirituality remains essential today; he influenced Saints Benedict and Ignatius of Loyola, and his works continue to be read worldwide. 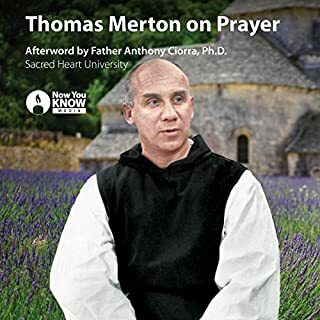 Now you have the opportunity to discover the vitality of Cassian's philosophy of prayer with Thomas Merton in these remastered recordings of his lectures. A teacher par excellence, Merton breathes new life into ancient texts as he passes tradition onto novices. Merton's lectures are not didactic presentations about Cassian's teachings but rather an application of them for the modern world. Cassian integrated Eastern monasticism into Western thought, and his conferences provide the principles of monastic life: unceasing prayer, charity, and asceticism. Especially compelling are his teachings about prayer and virtue and his examination of the "prayer of fire" as the goal of contemplation. Merton guides you through these topics and more in his captivating conferences. You will discover why the mysticism of John Cassian is cherished in the monastic tradition and the wider Christian community alike. These conferences will inspire you as you explore your own spiritual life. Merton at his finest. 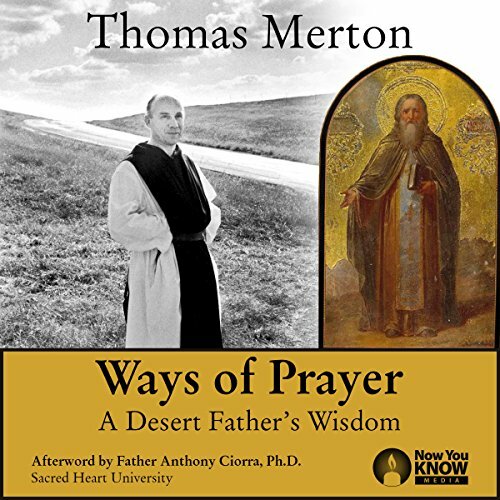 Discusses Cassian and the way of prayer via desert spirituality. A must-listen. I fell in love with this guy some time ago. He is a good conduit of Truth for me. In this series, the last chapter is actually the introduction. I recommend listening to it first. 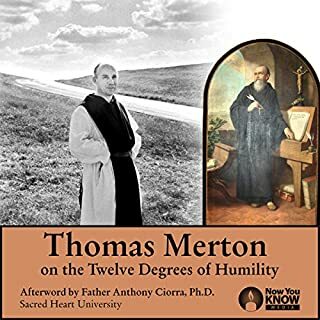 I feel almost like I personally met Merton in this series. Great teachers inspire those the teach. 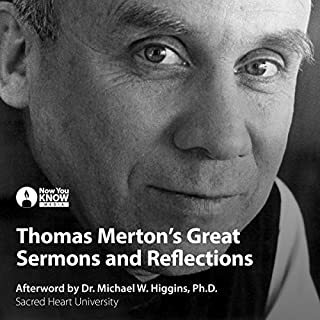 Merton does just that as he imparts discoveries and experiences to his audience, as well as today’s enquirer or listener. Seekers of wisdom, grace and faith will be encouraged by these conferences. The lectures, punctuated by birdsong, the bells of the Office and abrupt class conclusions, reveal lives dedicated to the discipline of prayer within community. There is a sense of glimpsing the private lives and hearing private thoughts found within the monastery.